Your Style Drives - Builder, Driveways/Patios/Paths based in Southampton, Hampshire. Thanks for visiting our checkatrade page. 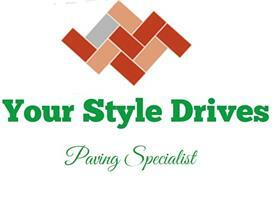 Your Style Drives is family run business which works throughout Hampshire and parts of Dorset. We specialise in all aspects of driveways, patios and hard landscaping. We have all professional experienced staff and give a 10 year guarantee with all our work. We have full Public Liability Insurance and will take on any job. We aim to give a professional and speedy service at all time whilst maintaining the highest quality of work. We provide free quotations with no obligations and no pushy salesman, with a 14 day cooling down period. We like to be very competetive with prices whilst giving the highest quality of work.